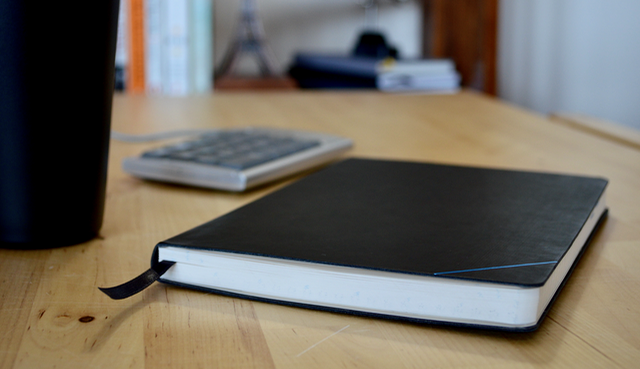 A notebook designed by accountants, for accountants. Working in the accounting field is tough. There is no shortage in work, but there are very few tools available to bookkeepers, tax preparers, auditors, and payroll specialists. Together with my fellow CPA's, we have designed a notebook with seven sections to help accountants get more done in a shorter time. Keeping all the training material front of mind is impossible, but a well organized notebook to keep track of the key points will help to recall it later. Using a dot-grid layout allows for note-taking, company structure diagrams, and doodling when things get boring. Thanks to the 81 backers that helped bring this project to life!!! All the rewards have been shipped a full two months before the expected due date! Order yours soon as they are actually selling out already! Over 50 cover colors and custom embossed designs free of charge for bulk orders! Email us for details and pricing options.